HANOI — Heavy rains from a storm in central Vietnam have killed nine people, including three children, bringing the toll since late last week to 21, although the flood levels have peaked, the government said on Thursday. Disaster reports from six central provinces hit by the storm that landed on Monday said more than 5,000 hectares of rice paddy had been destroyed, a relatively small area, but the country’s coffee crop was safe. 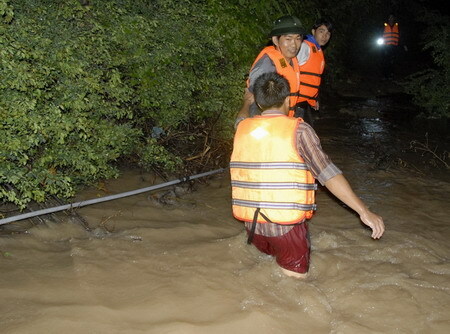 Several hundred families in Binh Dinh province were forced to flee their homes because of floods while landslides from heavy rains had blocked traffic in mountainous areas in Quang Ngai province, state-run Voice of Vietnam radio said. Tropical Storm Noul, the 10th tracked by the Southeast Asian country this year, did not cause damage on the scale predicted by the government. 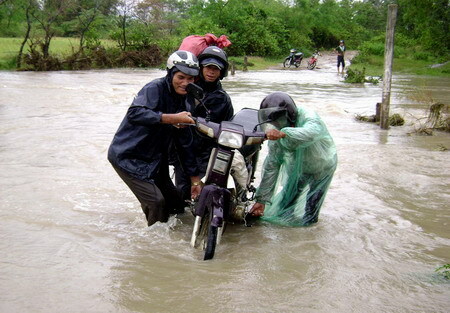 Storms kill several hundred people each year in Vietnam. Coffee and rice production, in which Vietnam ranks second in the world, were not affected as the storm weakened before it reached the Central Highlands coffee belt. The Mekong Delta, the country’s main rice-growing region, lies 350 km (220 miles) south of the flood-hit area, and its latest rice crop had already been harvested.